...Ya know, I think I talk about weapons more than I actually play this game! Pretty much all normal weapons should be worth one scrap metal, if it's more, you're getting ripped off. less actually. a normal weapon= a normal weapon. i'm trying to improve on the scattergun myself, as well as the short stop. I barely ever kill people with either before having to reload D:. If you want to learn how to Scout, you should start with the scattergun first. Only shoot when necessary and take cover from attacks to reload. By a remarkable co-incidence, I've been throwing caution to the wind and trying out the Pyro agai after months of neglect, just as Chaos is getting back into the heat of the action. After a bit of fiddling about with loadouts, I've determined my most preferred weapon choices for the Pyro. I'm hopeless at airblasting, that's a proven fact, as I would patheticly puff at incoming projectiles before being gibbed moments later. As an avid spy player, I naturally find myself sneaking to the back of enemies. A rather pointless effort as most classes, but as a pyro, it can be deadly. Especially with the Backburner involved. The shotgun suits my play-style better, to be honest. The last thing I want is to attract attention to myself with the flaregun, and I need the rapid damage that the shotgun grants for finishing off toasted enemies or escaping from ambushes gone wrong. Also; it's saved my life a few times with an unexpected crit blast of 160+ damage. So I'm safe to say it's secure as my secondary for now. With the combined efforts of the Backburner and the shotgun, I didn't really need a melee weapon to switch to in close combat. The Axetinguisher is pointless to me, as I don't usually stick around to hack at an enemy, and most of the perks for the other melee weapons would just hinder my play-style in the long-run. The homewrecker allows me to have a weapon that has no downsides, but allows me to help out friendly engineers, which is a nice thing to do. my prob is not exactly the survival part as much as the aiming/ damage part. I have the same loadout Biffo does for Pyro, but for my Melee I use the Backscratcher. I almost never use it, so it's just for the passive ability to get extra health from medkits. It's great for behind-enemy-lines action where you don't have to worry about getting less health from a medic/dispenser. Bonus damage is nice to have in tight situations as well. However in cases where I do lurk around my fellow Engineers instead of far ahead, I use the Homewrecker for the reason Biffo said. @Nall: Aiming is hard with a scout. Some players don't move the crosshairs, and just move to the side and fire when the crosshairs float over an opponent. 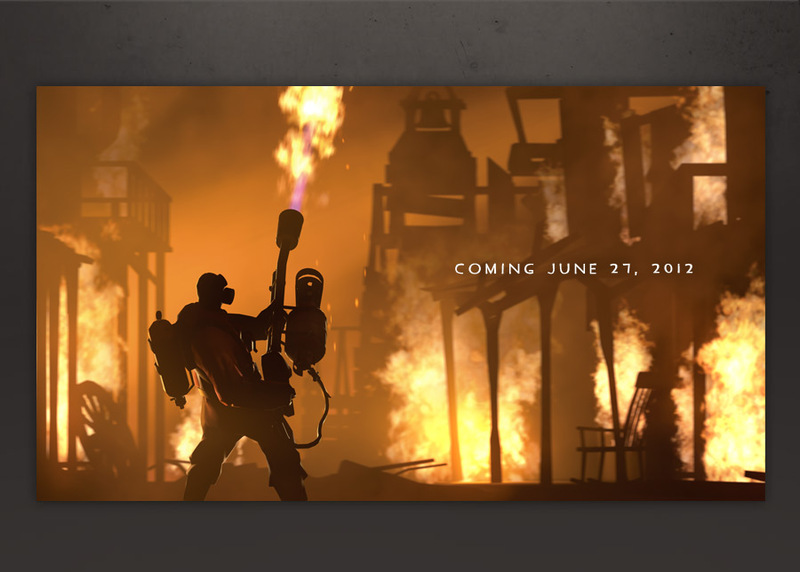 Valve is buffing and nerfing all the 3 flamethrowers, I hope this mean Meet The Pyro is coming soon. Also where are you guys getting this news? I don't know about this stuff until they're officially announced officially. So THAT's why I heard that sound effect when editing the replay! I got a new taunt! I'll try it out later and decide who's loadout it should go in. Oh, the Beta. Yeah, I've tried some of the beta weapons, and they've never seen the light of day. Like the Rocket Launcher that gets boosted if you're being healed by a medic. Well, they're heavily considering nerfing the backburner. From what I can see, most of what is in beta gets to be in the game. Well I haven't played Beta much so what do I know? Tried out The Director's Vision taunt on every class. Only the Heavy and the Pyro's animations were worth keeping over the laugh taunt in my opinion. I think I thought up a good loadout for Demoman. ...Assuming I can master this tricky playstyle. Loch-n-Load - Good for distant attacks. Splendid Screen - More damage at the cost of less defense against fire/explosions. Eyelander - Mostly because the sword looks cooler than my golf club that does the same thing. Edit: Tried it in target practice. SO DEADLY! Extra damage if you can aim well enough to shoot the Loch-n-Load at someone's feet. Can kill most classes instantly and send their ragdolls to record heights! Also got a Sharpened Volcano Fragment while practicing. What? Since when were these included in the drop system!? ...Oh, since ten days ago apparently. Funny that. Anyone wanna set people on fire? ...Without a flame thrower or flare gun? Just checking. Moving on to trying this loadout against bots! I can't kill ANYONE with a sword! Tried it. During the entire 3-part Dustbowl game, I killed maybe two people, and was far more frequently killed mid-charge by a shotgun. Found the Scottish Resistance to be FAR more useful than the shield, and I'm still trying to find a weapon that gives the range of a sword, but doesn't have large costs for someone that can't actually wield one so I can defend myself from close encounters! Tried the Ullapool Caber. Deadly, yes, but the respawn time and all my sticky traps being destroyed upon use aren't worth it. Loch-n-Load still extremely lethal! I'm keeping this beauty! Hm, on the subject of the Ullapool Caber, it does give me 10% fire res. when paired with the LnL. I could just not use it, but the promise of an almost-instant kill coupled with my insane thirst for blood will make me run like a madman after enemies. ...Aw heck I'm keepin' it! @Nall: Demoknight is no good for me then, as I like versatile loadouts. They trade weapons 1-to-1 guaranteed. However since the Uber Update, to avoid people taking advantage of their system they divided weapons into tiers so that you need a weapon from that tier to trade for a weapon of that tier. Remember that SVF I found? I can trade it for the Machina I need. Sweet. Heh, I had a bunch of machina that I scrapped into metals. You missed a chance at a Volcano Fragment.